More and more brands are turning to content marketing because of its effectiveness and strong focus on consumers. The goal is to create a great user experience that will increase sharing, clicks, and comments – and this level of engagement can amplify reach. You want to attract and retain customers by consistently delivering relevant and valuable content, with a focus on owning the media rather than renting it. There is no go-to formula for success, but agencies can learn from one another about what clients want and which industry trends are delivering high returns. So what is working? 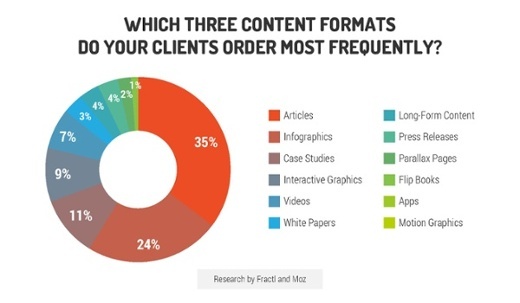 To find answers, Fractl and Moz surveyed over 30 different content marketing agencies, asking questions concerning services, cost, and reach. Here, we’ll walk you through three key takeaways that reveal the industry’s current state and explore ways agencies are proving ROI. 1. Most agencies produce up to 10 campaigns per month with clients preferring static assets over dynamic assets. Nearly 25 percent of marketing budgets are allocated to content marketing, and this number is expected to exceed 30 percent within the next two years. 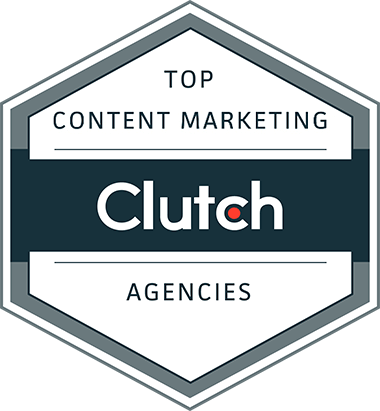 Clearly the industry is committed, so we decided to take a closer look at how agencies are running their content marketing programs. Our survey results revealed that more than 65 percent of agencies produce up to 10 campaigns per month for a single client, with fewer than five campaigns being the most popular option – nearly 50 percent more popular than delivering five to nine campaigns. So what do these campaigns include? The most popular assets include articles and infographics – nearly 60 percent of production, with articles preferred 37 percent more than infographics. The only other asset to earn more than 10 percent is case studies. More dynamic content, such as interactive graphics and videos, accounts for less than 30 percent of production. The least popular content includes motion graphics, apps, flip books, parallax pages, press releases, long-form content, and white papers – all earning less than 5 percent each. 2. Content marketing campaigns outperformed BuzzFeed native advertising by nearly 200 percent in total links. A key distinction between content marketing and native advertising is that sponsored content cost is largely associated with domain authority (DA) – some publishers charge up to $200,000 for their native advertising programs. Analyzing native advertising cost data, we determined the average cost for these programs with a DA greater than 80 and with more than 100,000 social followers – top-tier placements sought after by most brands – was $54,014.29. However, ROI shouldn’t be measured solely by DA. All social shares and total links should be considered alongside major placements when determining the return of your latest campaign efforts. Using results from Buzzsumo for social shares, we compared the reach of BuzzFeed’s most successful native advertising campaign – “15 Things We Did at School That Future Students Will Never Understand” – to Fractl’s most viral infographic to date. Our results revealed that BuzzFeed’s most successful native advertising campaign earned exactly 109,020 social shares and one backlink. In comparison, our campaign earned over 8,500 tweets and more than 316,000 Facebook likes with close to 1,200 backlinks. That’s nearly a 100 percent increase in shares and close to 200 percent more total links. 3. A higher budget for content marketing can increase the number of links by more than 160 percent. 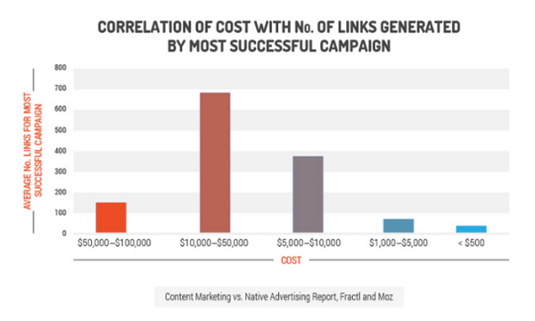 Our data also revealed that a client’s budget can have a strong impact on the number of links a campaign earns. For instance, clients who spend between $5,000 and $10,000, compared with those who spend between $1,000 and $5,000, saw a 136 percent increase in the total links generated by their campaigns. When the budget was increased between $10,000 and $50,000, the total number of links increased 162 percent. 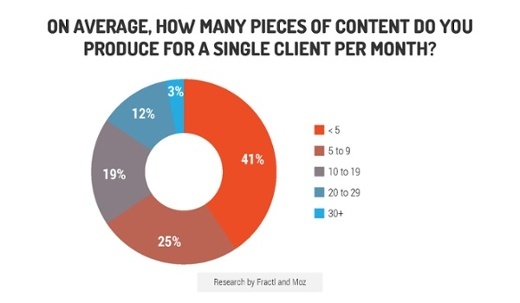 Remember that there is no one-size-fits-all strategy for successful content marketing. Key factors to consider for every campaign include overall traffic, social shares, total number of links, and any top-tier placements. To help strategists, we created a beta content ROI calculator that combines all four to help you determine your return. There’s always room to increase your content ROI, so keep these data-driven insights on content creation and promotion in mind as you brainstorm your future content marketing strategies.